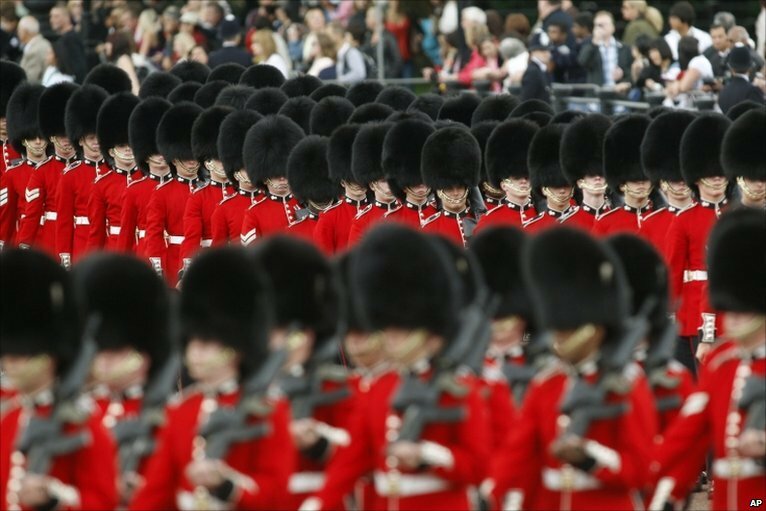 The Queen marked her 84th official birthday at the annual Trooping the Colour ceremony in central London. 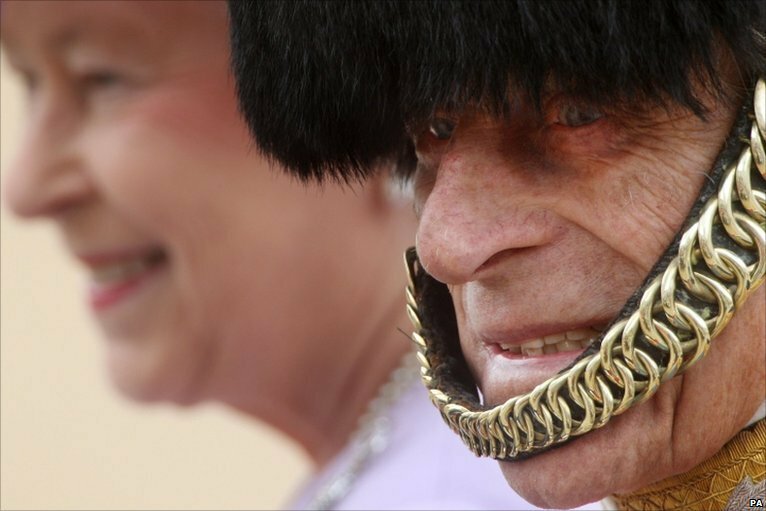 The Queen was accompanied by her husband, the Duke of Edinburgh, who celebrated his 89th birthday on Thursday. 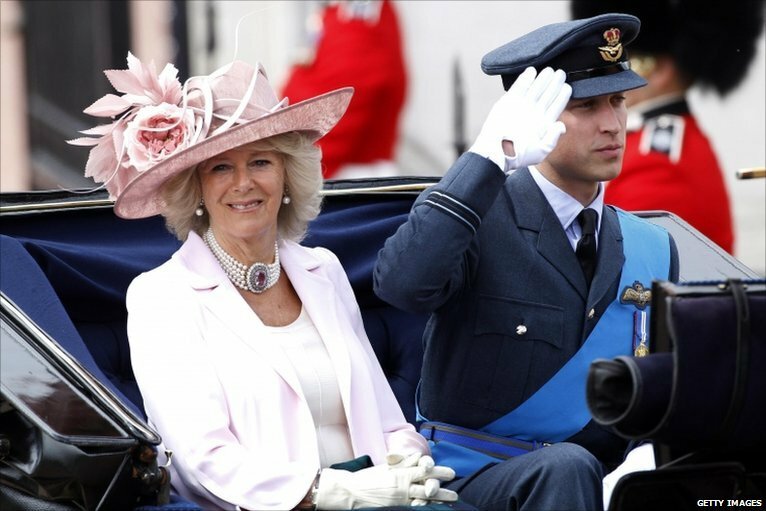 Other members of the Royal Family were at the ceremony, including the Duchess of Cornwall and her stepson Prince William - who is currently training to be a RAF pilot. 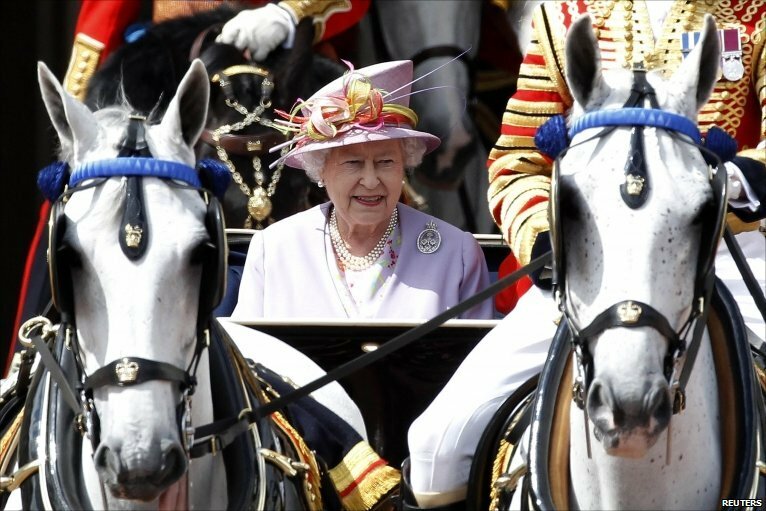 Thousands of well-wishers lined the route as the Queen travelled to the ceremony at Horse Guards Parade. 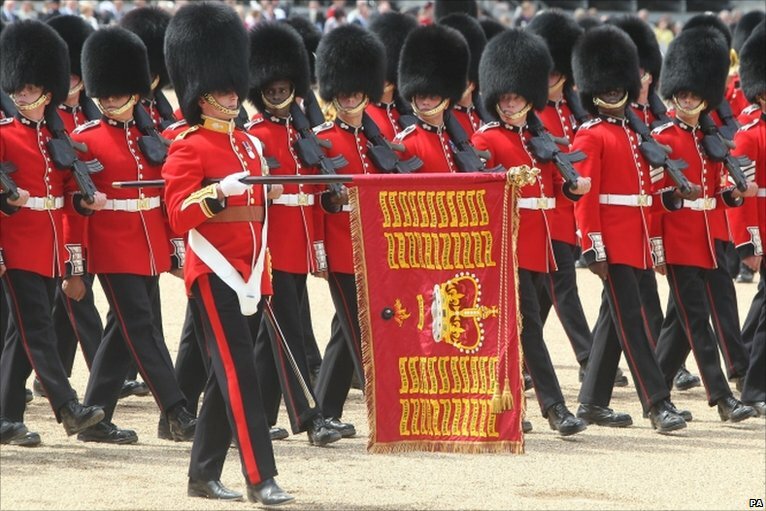 The Queen had presented the 1st Battalion Grenadier Guards with their new regimental colour last month. 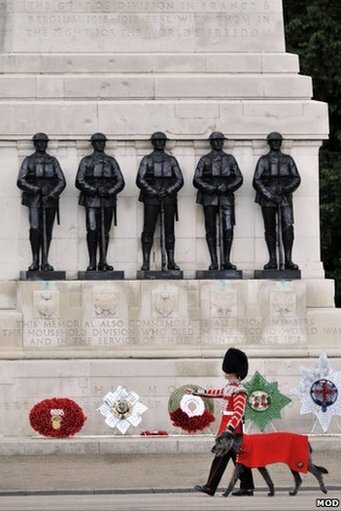 The event included more than 1,400 soldiers in the traditional uniforms of the Household Cavalry, Royal Horse Artillery and Foot Guards. 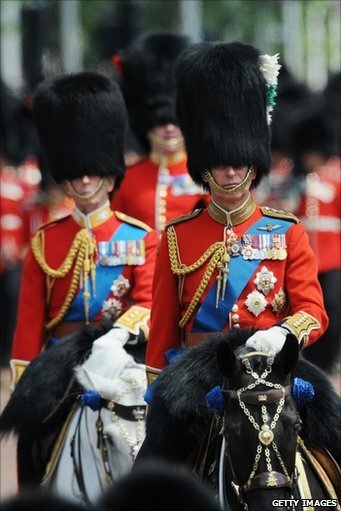 Irish Guards' mascot Conmael was among the animals taking part. 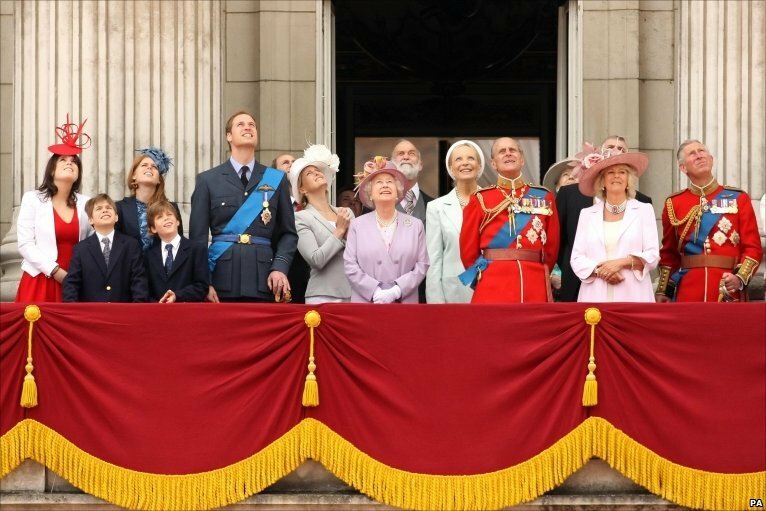 Prince Charles was battling a chest infection but had said he wanted to take part. 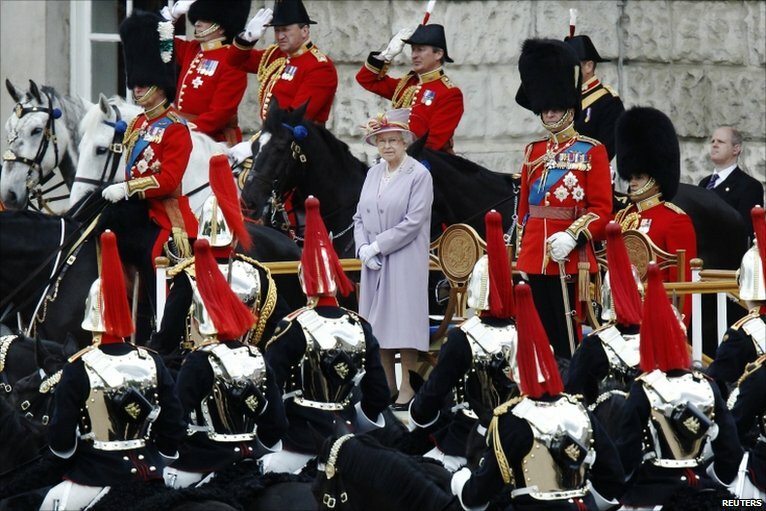 The Queen first took the Royal salute in 1951 when she deputised for her sick father King George VI. 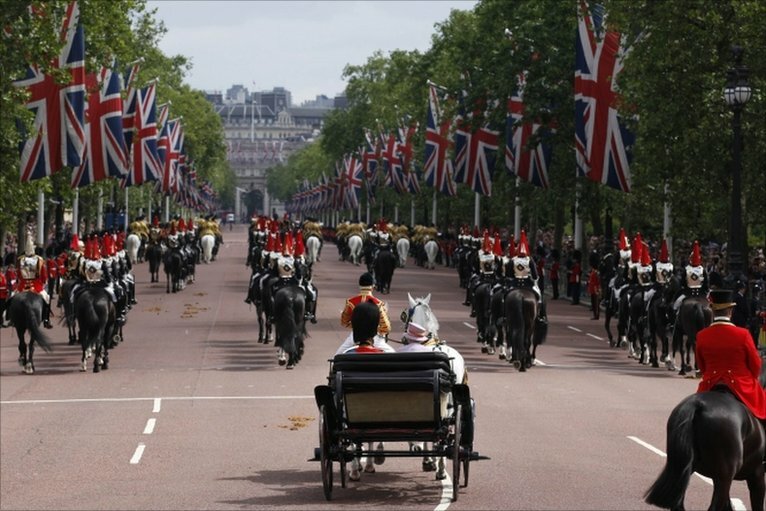 Members of the Royal Family were treated to a fly-past over Buckingham Palace following the Trooping of the Colour ceremony. 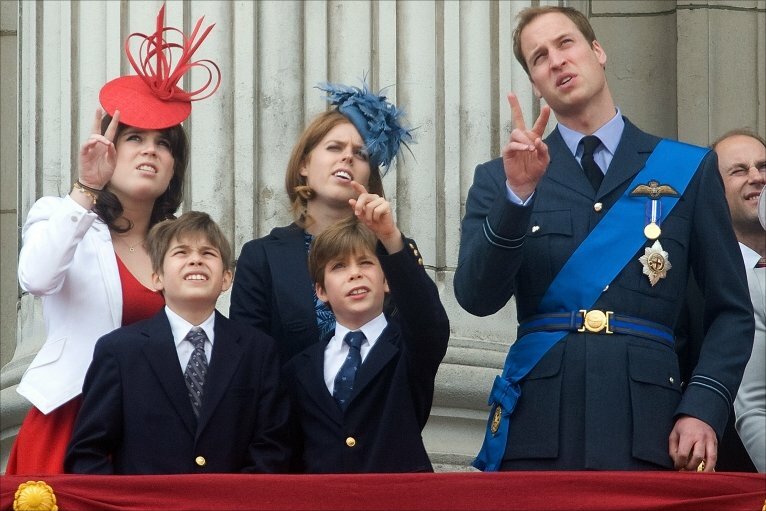 The younger Royals were due to attend a birthday lunch with their grandmother at Buckingham Palace. 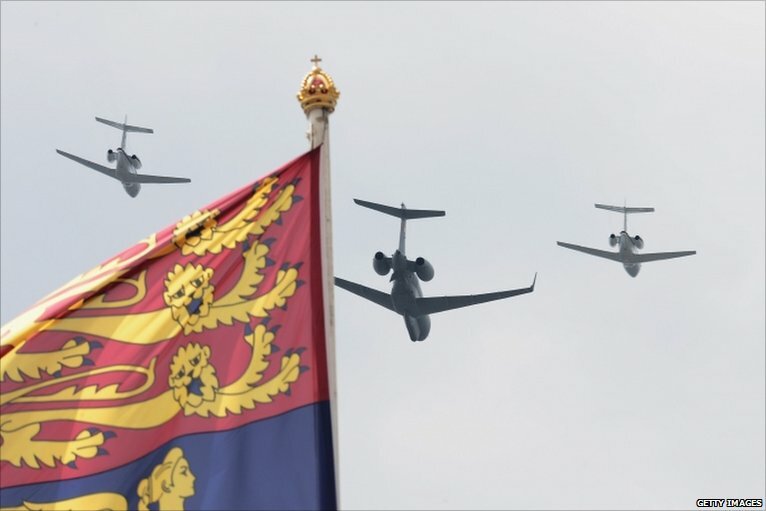 The fly-past was led by The Battle of Britain Memorial Flight to commemorate the 70th anniversary of the battle.